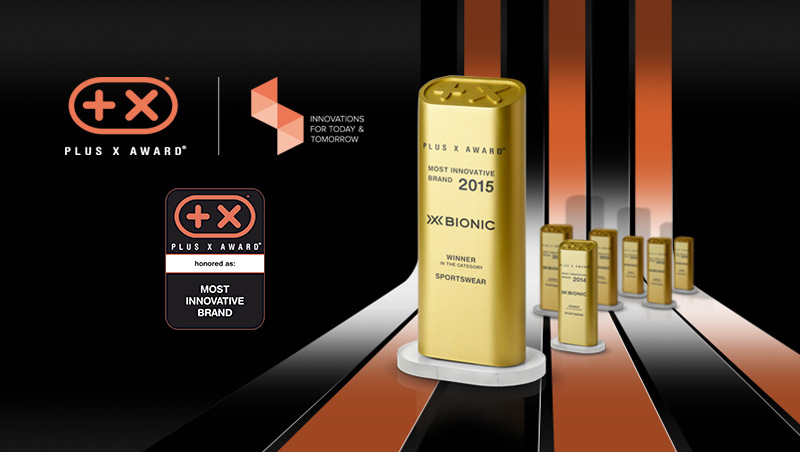 Jun 24, 2015 - X-BIONIC® is the world’s only brand with 7 consecutive “MOST INNOVATIVE BRAND AWARD” titles, the biggest award for technology, sports and design. The Plus X Award honours manufacturers for the quality advantage of their products. This adds to the recognition culture benefiting innovative companies that today are already thinking about tomorrow.